We’re Hiring! Click Here to apply online! Overflow parking is available across Water street on the South end of the City Crossing’s parking lot; just look for the Rachel’s Cafe & Creperie signs on the parking spaces. 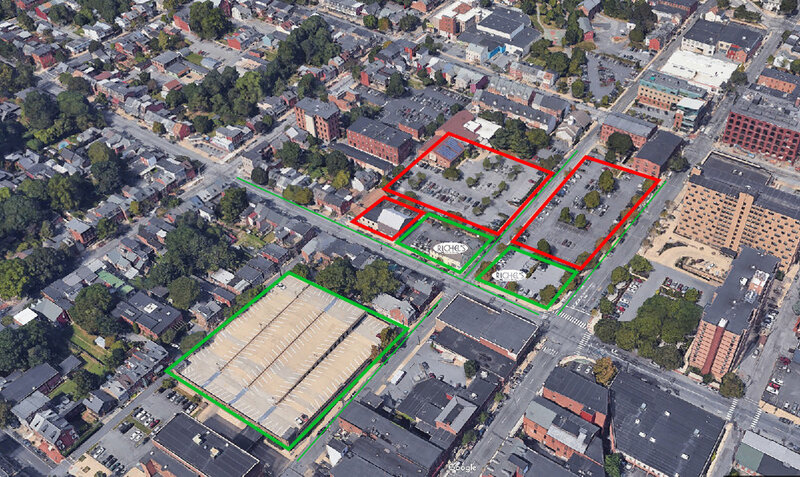 Metered on-street parking is available along the entirety of Walnut street and a portion of Water street between Chestnut and Walnut. Free two-hour parking is also available on Water street between Walnut and Lemon. Check out Water Street Garage for rates. Vehicles parked in red lots risk being towed at owners expense. Rachel’s is a full service Crepe café with two locations in Lancaster, PA! We offer a large selection of breakfast, lunch, dinner and dessert crepes, kids crepes, salads and more, all made fresh to order. We have a full coffee bar featuring locally roasted Lonely Monk Coffee, real fruit smoothies and seasonal drinks. Our cozy, inviting dining rooms are the perfect place to catch up with friends! During warmer months enjoy the covered deck at our Walnut Street location. Rachel’s Cafe & Creperie brings a little taste of Paris to Lancaster, PA; so whether you're dining out with the family or just want to treat yourself to one of our famous Nutella Hot Chocolates...come and join us!